Medically reviewed by Dr. Jeff Jumaily, M.D. Is the stress starting to show on your face? With the busy lives and hectic schedules that we’ve built for ourselves, it’s almost impossible to keep their effects from showing on your face and skin. One of the best ways to beat this is taking an hour out to focus on yourself and take care of your skin with a facial. 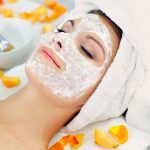 One of the better ways to do it is at home, without worrying about shelling out some big bucks or getting an appointment at a good spa. . Here’s a step-by-step tutorial on how you can give yourself a facial at home. Cleansing your face is crucial part of any kind of skincare routine. It helps get rid of dirt, excess oil, and makeup, giving you a clean slate to work with and preparing your skin to be more receptive to the ingredients that you are going to nourish it with. Select a cleanser that is suited for your skin type. If you have oily skin, use an oil-free cleanser. For Dry skin, use a mild foaming cleanser. People with combination skin can use face washes that are specially formulated for combination skin types. Take a pea-sized amount of your facial cleanser and gently rub it in an upward circular motion onto your skin. Splash the product off with cool water. Use raw honey to cleanse your skin. Honey has excellent antibacterial and hydrating properties that will leave your skin feeling soft, clean and supple. Simply dampen your face, spread the honey over it, massage for about a minute or two and rinse it off. This suits all skin types. 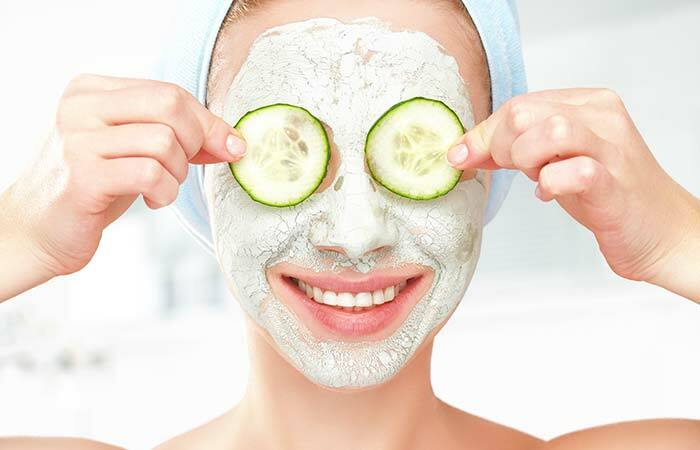 Exfoliating is another extremely important step when it comes to facial. Exfoliating your skin helps remove all the dead skin cells that tend to clog your pores. It helps instantly brighten your face by revealing the younger and healthier layers of your skin. You can also make your own exfoliators using natural ingredients that are already in your pantry. Once you’ve cleansed your face, select an exfoliator that is appropriate for your skin type. Take a coin-sized amount of your exfoliator and gently rub it in an upward circular motion onto your skin. Do this for a couple of minutes, but remember to be gentle. You do not want to over-scrub your face. Splash the exfoliator off with cool water. 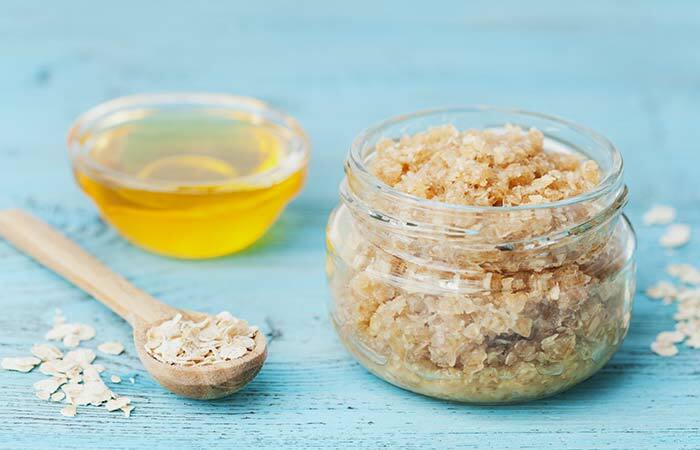 For Normal Skin- Combine 1 teaspoon ground oatmeal with a teaspoon of honey and a teaspoon of olive oil. For Oily Skin- Combine 1 teaspoon of honey with a teaspoon of water and a teaspoon of sugar. For Dry Skin- Combine 1 teaspoon of honey with a teaspoon of olive oil and a teaspoon of ground almonds. Starting with a steam is the best way to kick off your at home facial. The steam helps relax your skin and open up your pores. This allows your skin to release toxins and soak up all the goodness that the facial has to offer. Follow the instructions listed below to safely steam your face. Take a bowl of very hot water. Ensure to use oven mitts or a cloth while handling the pot so that you don’t burn yourself. Place a towel over your head and lean over the pot so that the towel creates a tent to hold the steam. Lean over the pot to steam your face. Do not lean too close as the vapors can be quite hot. Do this for 5-10 minutes. 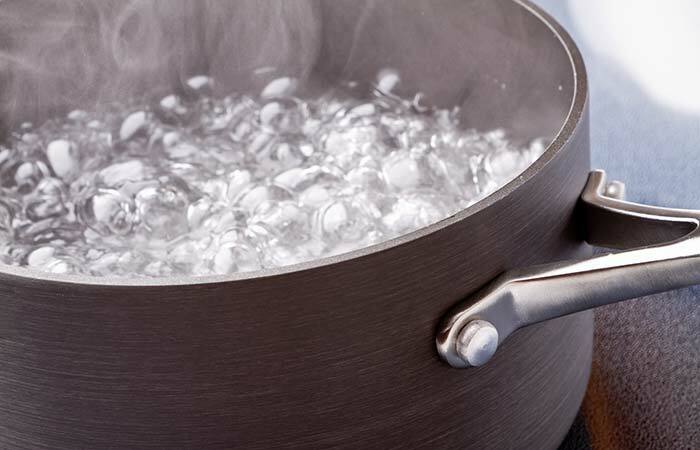 If you feel the steam starting to cool during this time, blow into the pot so that it lets out more vapors. Add a couple of rosemary essential oil, or herbs such as chamomile or rosemary sprig to give your steam treatment a kick. The aromas created by these ingredients can be extremely uplifting and will relax you while they clarify your skin with their antioxidant content. Once you’ve steamed your face, your skin is ready to take on some nutrition. Applying face masks gives your skin the boost it needs to stay healthy and look radiant. The constant contact your skin has with damaging factors such as pollution, the sunlight, and chemicals, can dull it down and make it age prematurely. Face masks help counter these factors and keep your skin well-nourished and youthful. The best thing about masks is that they’re customizable to treat various skin issues. Pick a DIY mask suited to your skin, preferably one that’ll help address any skin issues that you have. Spread the mask onto your face in a thin layer. Avoid getting too close to your eyes or your mouth. Turn on a humidifier or draw a bath to soak in while the mask works its magic. After the time indicated has passed, splash the mask off with cool water. Now that your face has soaked up all the goodness that the face mask had to offer, it is time to seal your pores to keep any dirt or toxins from settling in your skin. This is where a toner comes in. Toners help remove any residual dirt while sealing your pores. This helps address issues such as acne and visible pores. A toner also helps make your skin more receptive to hydration. Pick a toner that is suited to your skin type. Take a cotton pad and use it to apply the toner onto your face. Avoid the area around your eyes as you do this. The cotton pad will help spread the toner while also removing residual dirt. Allow the toner to dry naturally. If you have combination skin, you may limit the use of the toner to your T-zone. Combine half a teaspoon of apple cider vinegar with a teaspoon of water and use this to tone your face. Apple cider vinegar balances the pH of your skin while closing your pores. This is the last step to your at-home facial and one that the treatment would be incomplete without. Your freshly revealed and nourished skin will need hydration for lasting radiance. A moisturizer will help hydrate your skin and lock moisture in so that your skin is less prone to damage. 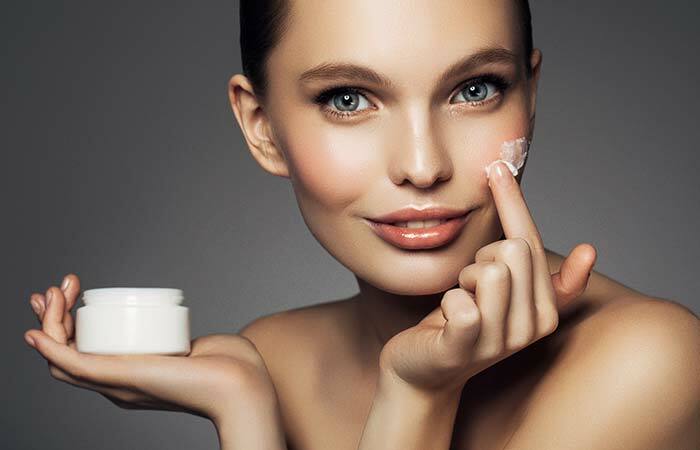 Select a moisturizer that is suited to your skin type. Take a pea to a dime-sized amount, depending on the consistency and apply this onto your face in upward circular motions. Let your skin absorb the moisturizer. For Dry Skin- ½ teaspoon coconut or argan oil. For Oily Skin- ½ tsp Jojoba oil, or 1 teaspoon aloe vera gel. Do not apply makeup immediately after treating your skin to a facial. Give your skin a couple of hours (at least) to breathe. While following the steps listed above, follow the indicated amount of time for each ingredient or product you use. Give yourself a facial every week to keep your skin healthy. The natural ingredients do not damage your skin. On the contrary, they help improve your skin’s texture. Keep everything you need ready before you start your facial so that you do not miss any steps and can efficiently complete the treatment. Create a calm atmosphere for yourself. This will help release stress and will boost the effectiveness of the treatment. If you experience any discomfort from the ingredients you use, rinse it off and cleanse your face immediately. Pampering yourself has never been easier. 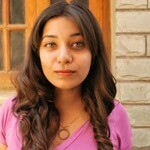 Follow the steps mentioned in this article to achieve glowing, flawless skin. A little self-care is all it takes to bust stress. 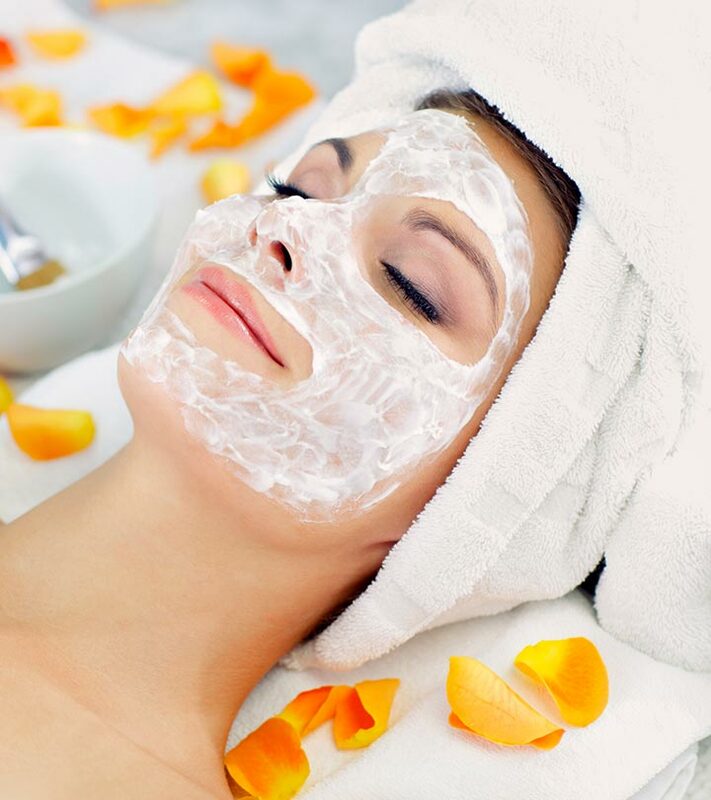 Have you ever given yourself a facial at home? Tell us about your experience in the comments section below.